I’m pleased to announce the launch of OST Platform. 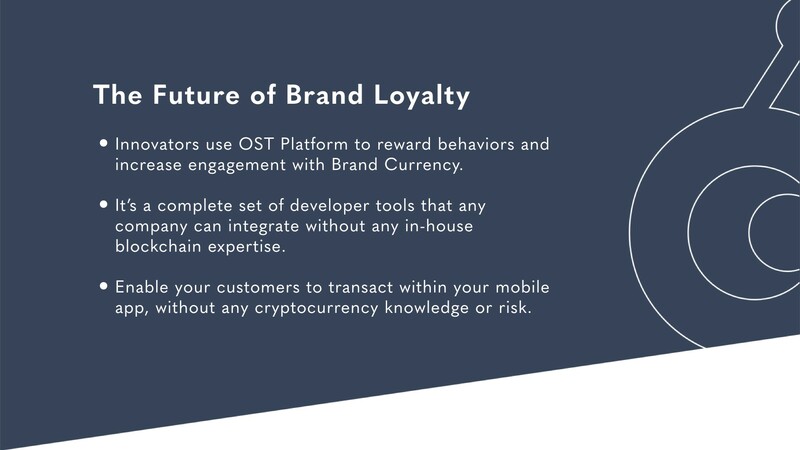 OST Platform enables businesses to easily integrate Brand Tokens into their apps to reward behaviors and increase engagement. 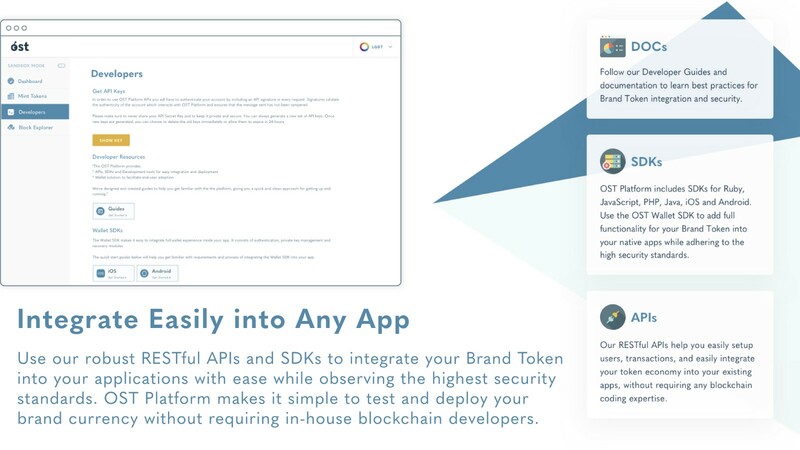 OST Platform is the first full-featured “no-code” blockchain platform — a set of unified dashboards, APIs, SDKs, and protocols that any business can use to easily test and deploy their own brand currency without requiring any in-house blockchain development. Access to OST Platform is currently being provided in batches to whitelisted teams. You can request being added to the whitelist on the OST website or by completing this form. We hope to drop the whitelisting requirement in a few weeks and enable anyone to simply register and start using OST Platform. This long post describes everything that’s new in OST Platform. This release is the result of several years of planning and development, and it reflects the combined efforts of 60+ indefatigable members of the OST team. Thank you. Each of you played an important role in helping us design, develop, and launch OST Platform. I want to especially thank our product development leaders, Benjamin Bollen (Chief Blockchain Strategist), Sunil Kedar (Chief Technology Officer), Francesco Pacella (VP Product), and Rachin Kapor (VP Engineering), for conceptualizing and managing to this release. The four of you have now developed products alongside me for a combined twenty-eight years. I continue to be humbled by your commitment, perseverance and dedication. This milestone release represents how experience, team work, problem solving, and design principles can be applied towards solving real business use cases with frontier technology. I want to also thank our partners and the active OST community for your input into this release. In 2018 more than one thousand developers tested alpha versions of OST Platform. Your feedback was critical to our focusing the technology and user experiences. 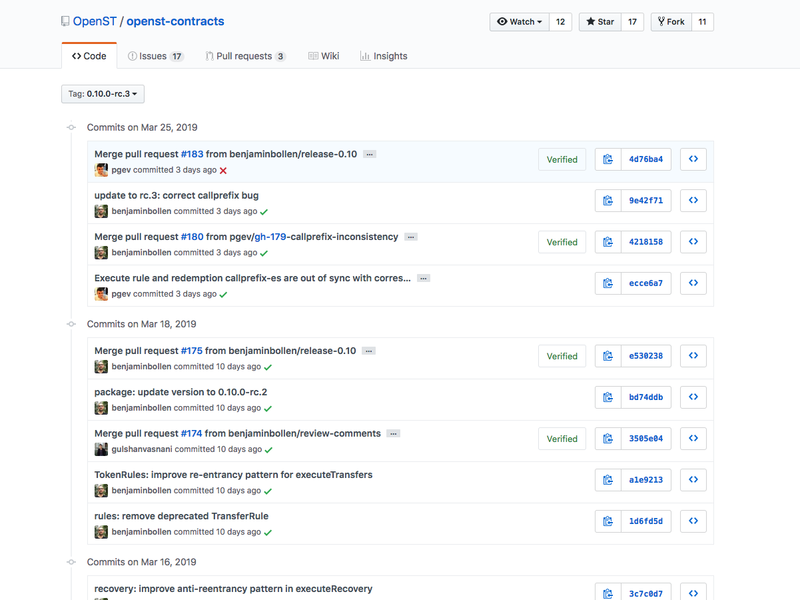 Several hundred more OST Platform prospective clients contributed to our refinements of the messaging, developer tools, and understanding of the user “jobs to be done.” Thank you also to our active advisors and equity investors for your ongoing support and help. Now that we’re in-market we’ll need you more than ever. While this release is a big milestone in our development, it’s really just the beginning of the beginning of the beginning for OST. We know that SaaS software takes time to achieve product market fit and growth. And, we acknowledge that the real success of the platform is not launching, it’s making a real impact on our clients’ businesses. 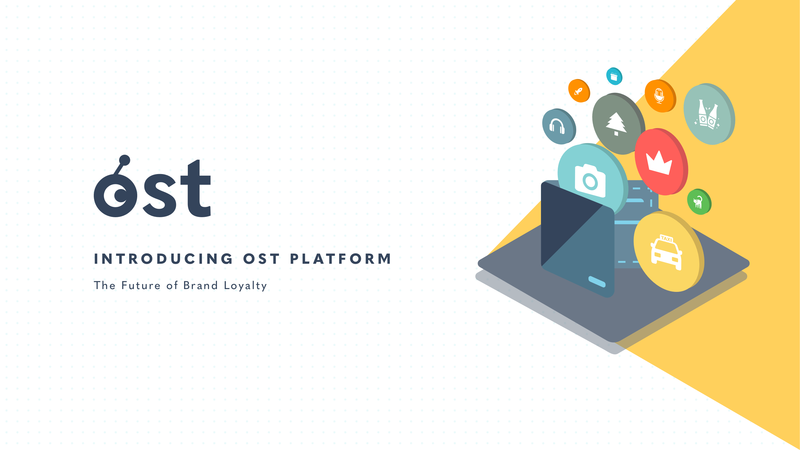 Thanks to input from our initial clients and prospects we already have an ambitious roadmap of features to add over the coming months and years towards making OST Platform the essential tools for powering the future of brand loyalty. We hope many companies and developers explore OST Platform and engage with the technology. We look forward to and need your feedback. 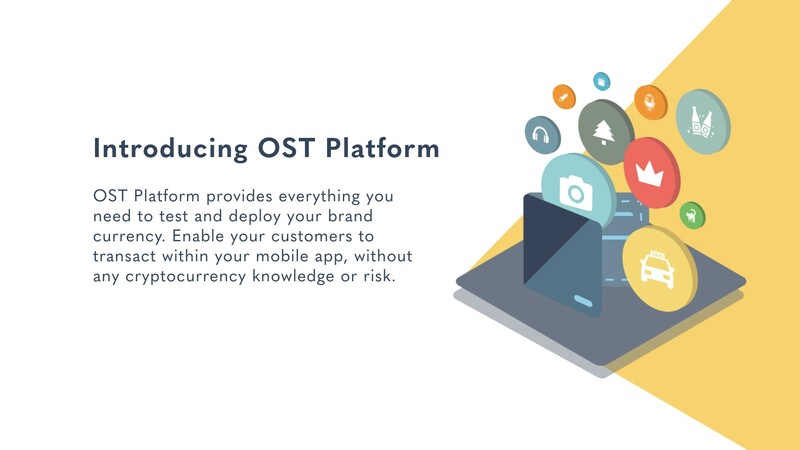 OST Platform includes all of the core features and development tools needed to integrate, test and deploy Brand Tokens to end-users in production (on Ethereum mainnet). Previous alpha versions of OST Platform (known as “”OST KIT,”) enabled developers to run test transactions. 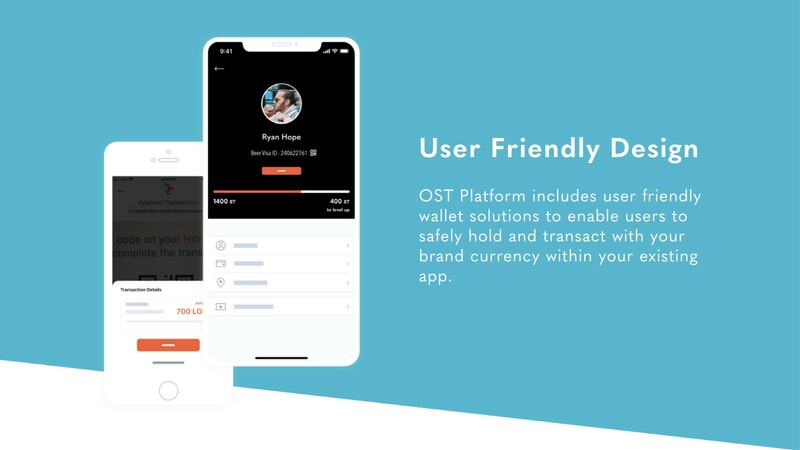 OST Platform goes further and contains end-user wallets via the OST Wallet SDK, as well as Sandbox and Production modes to toggle between testing and deploying Brand Tokens. This release moves OST Platform from private alpha to public general availability. This is a comprehensive release touching everything we work on at OST. Below I’ve provided an overview of everything new in this release. Easy to use management dashboards for token economy setup. 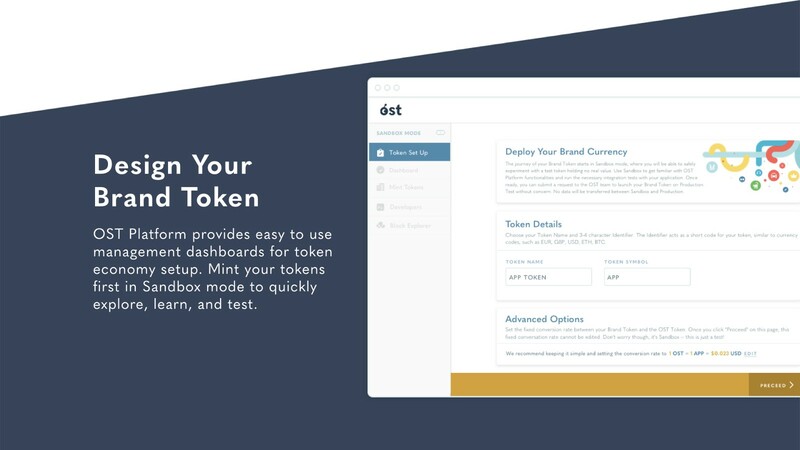 Mint your tokens first in Sandbox mode to quickly explore, learn, and test, then move to Production when ready to deploy. Robust RESTful APIs and SDKs to integrate your Brand Token into your applications with ease while observing the highest security standards. The Server-Side APIs and SDKs provide various endpoints/methods that can be used by developers to design and manage their Brand Token Economies. 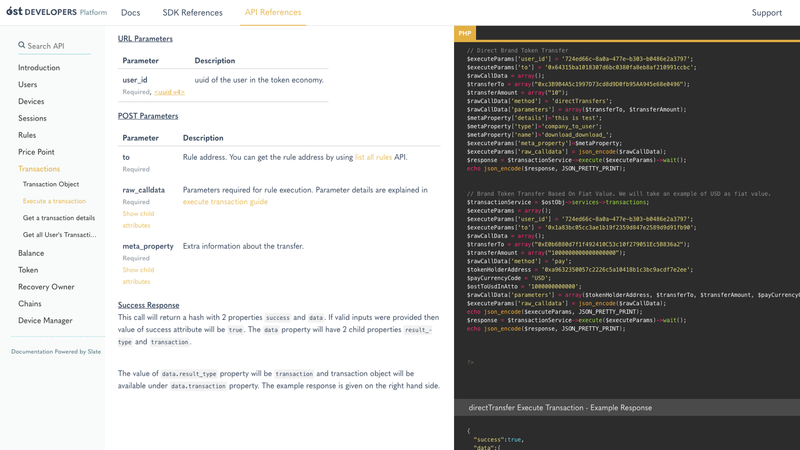 Comprehensive documentation, guides, and API and SDK references. As a developer exploring the OST platform, we hope you enjoy engaging with the technology and interacting with the OST blockchain protocols, contracts, APIs, and SDKs. With the OST Wallet SDK the user can set a 6 digit PIN to authorize Session Keys. These ephemeral Session Keys, which remain active for a period of time, remove the need for users to sign every transaction within the application. When a session expires, the user may use the 6 digit PIN to authorize a new session. 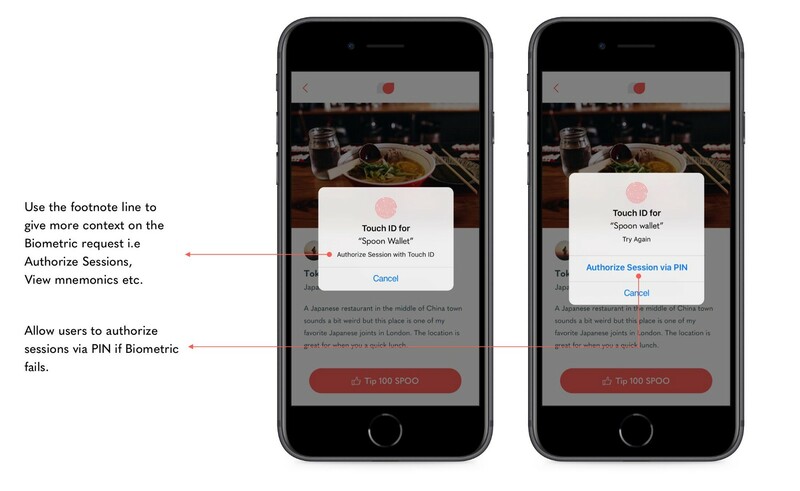 To further reduce friction, the OST Wallet SDK also supports the use of biometrics. OST Platform enables users to use fully functional wallets with only setting 6 digit PINs for recovery. Normally a 6 digit PIN, on its own, does not provide enough entropy to be secure. The OST Wallet SDK achieves security by combining inputs from the user (PIN), an encrypted secret from the company, and from OST. The concatenated string undergoes a transformation through a cryptographically secure process to generate a recoveryKey that can be used to request recovery using a smart-contract. The recovery smart contract (known as the delayedRecoveryModule) enforces a 12 hour waiting period during which the user can abort the recovery request using any of their authorized devices, further protecting the user from malicious recovery requests. We encourage you to learn more about OST’s innovative wallet recovery model by reviewing the detailed specifications and SDK. 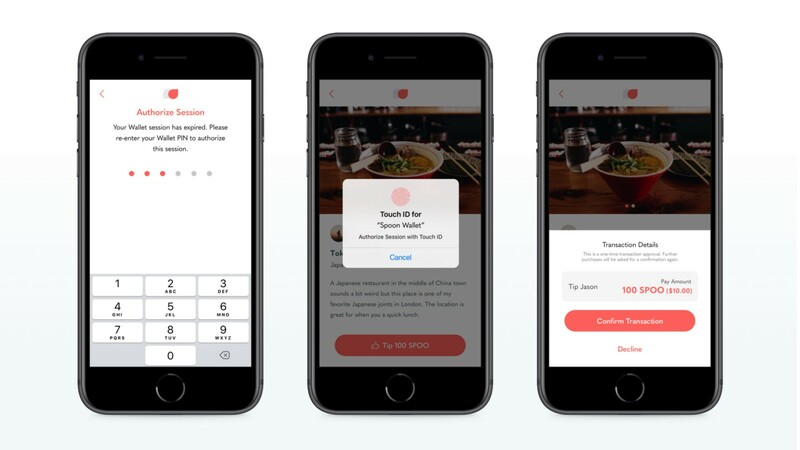 In this new guide, we use an example of a fictitious restaurant recommendation application, “OpenSpoon” to illustrate how a Brand could use the Wallet SDK to integrate the functionality of a user-friendly non-custodial Brand Token wallet into their application. 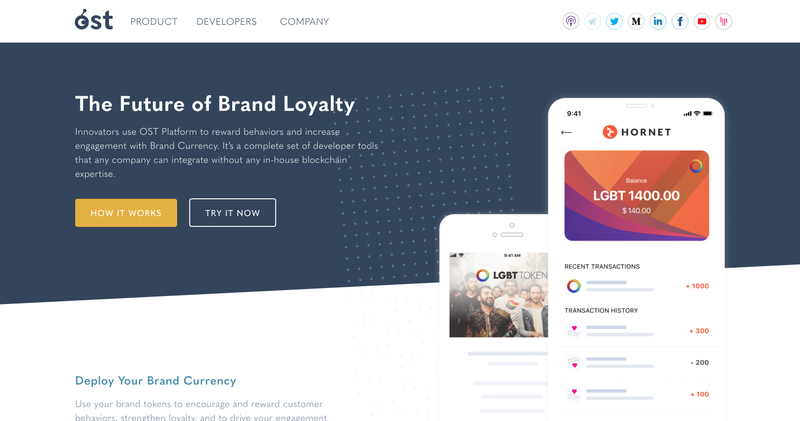 The UX case study aims to serve as a reference for Brand developers and to help create a faster and smoother implementation of the Wallet SDK with the application. 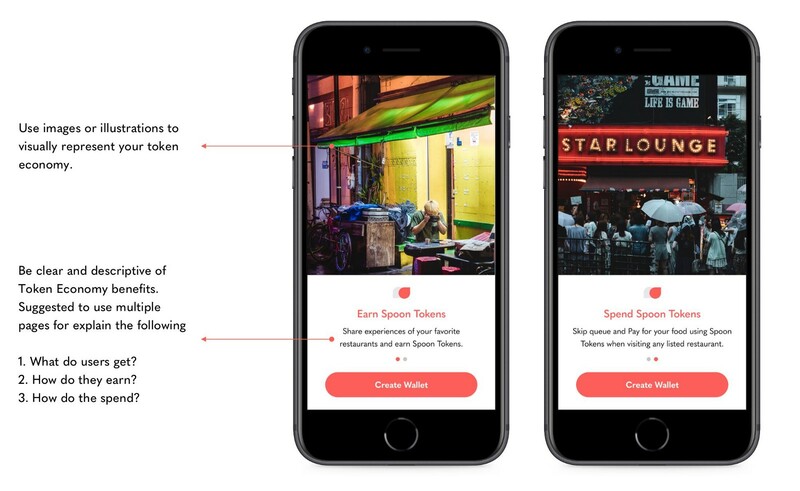 We demonstrate user stories around sharing favorite local food experiences to illustrate the key concepts of the Wallet SDK implementation and to present some basic ideas for Tokenization. 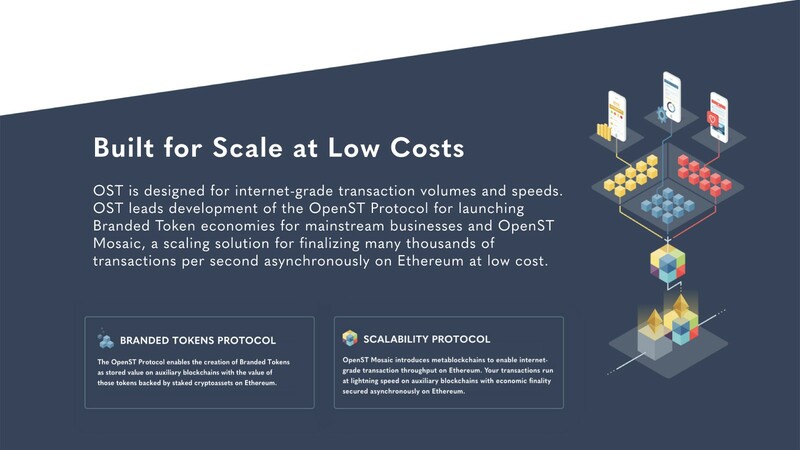 OST is designed for internet-grade transaction volumes and speeds. OST leads development of the OpenST Protocol for launching Brand Token economies for mainstream businesses and OpenST Mosaic, a scaling solution for finalizing many thousands of transactions per second asynchronously on Ethereum at low cost. OpenST v0.10 focuses on enabling the OST Wallet SDK for applications to enable tokens for the end-users in their app. OpenST.js specifically is used to relay transactions from the SDK to the chains and in general interact with the constellation of contracts in the Token Economy. 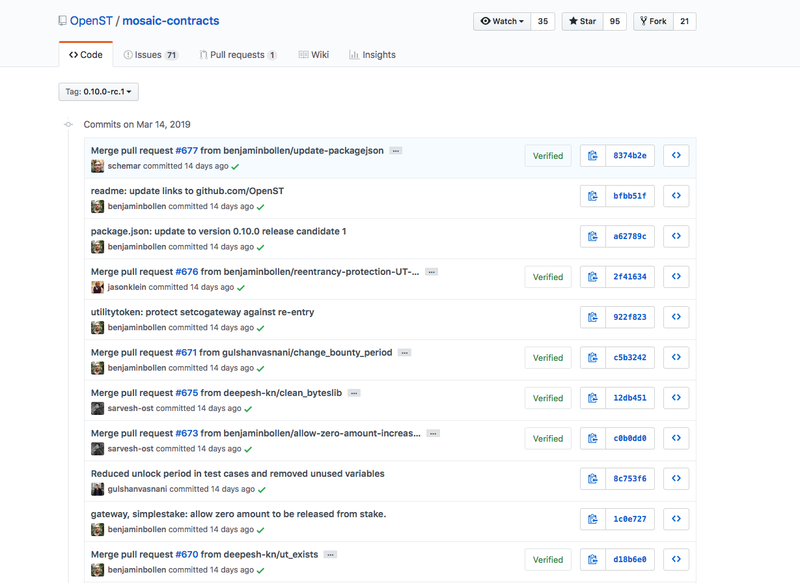 OpenST.js depends on Mosaic.js for managing Ethereum side chains. executable transactions (EIP-1077) to act on Token Rules within the economy, and improved logout() functionality for the session keys. the user can recover access to the multisig contract if she has lost all device keys with the DelayedRecovery module. The recoveryOwner key she can reconstruct on her new device with her 6-digit PIN mnemonic (and two separate secrets stored by OST and the application). Mosaic 0.10.0 significantly improves the atomic message bus. It removes any time-out logic when sending atomic messages between Ethereum mainnet and a side chain, making it fully asynchronous; instead a revocation message can be sent to attempt to intercept the message before it is executed on the target chain. 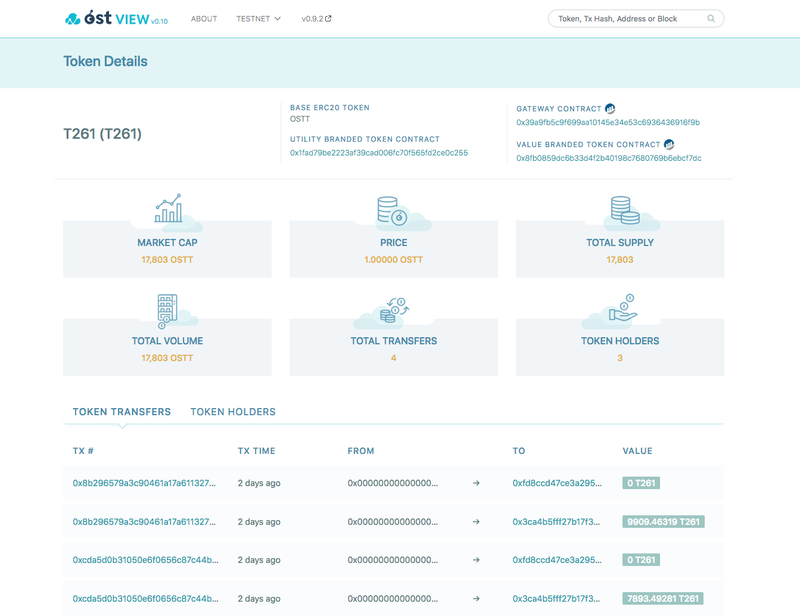 OST VIEW is the block explorer for viewing Brand Token transactions and contracts on the OST blockchains. You can toggle between OST Platform Sandbox (testnet) and Production (mainnet) views. A multi-chain explorer, OST VIEW is a search engine and browser that people can utilize to view human-readable block, transaction, and account information on the OST blockchains. OST VIEW provides individual and aggregate historical data, including statistics and charts, on Brand Token transfers in, and across OST-powered Brand Token economies. On Testnet the ticker OSTT indicates the token OST-Test which is a test version of the OST Token used in the OST Sandbox environment. The best way to explore the new OST Platform is by reading the new OST.com website, diving into the comprehensive Developer Resources and Guides, and just getting your hands dirty and start minting your own Brand Tokens. Got more questions? We’ve also updated the OST Platform FAQs. Got even more question? Want to schedule a personal demo? Please reach out to our commercial team. The real success of the OST Platform is not launching, it’s making a real impact on our clients’ businesses. This long post purposely focused entirely on the platform launch today. We look forward to circling back with subsequent posts about clients, usage and case studies in the near future.